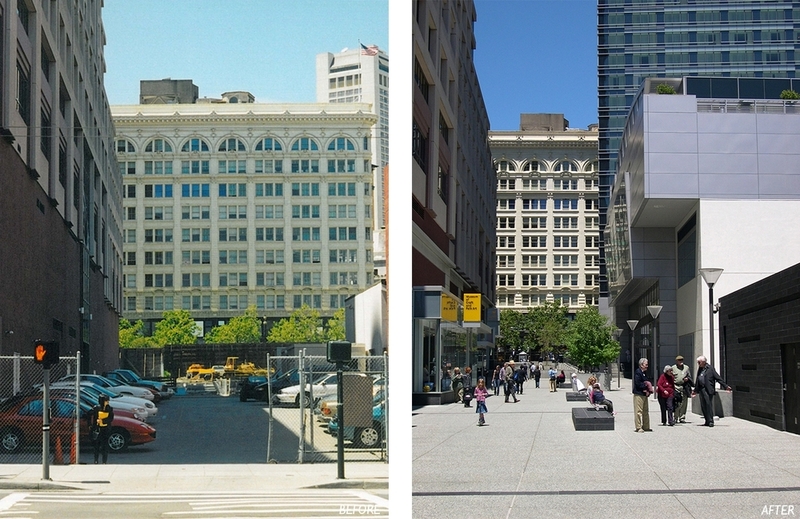 Formerly a parking lot, the Yerba Buena Connector is now the primary pedestrian street linking San Francisco’s Union Square commercial center with its flourishing Performing Arts District. Serving over 5 million pedestrians per year, it fronts on the Four Seasons Hotel and Residences, the new Jewish Museum and ground floor retail at the Marriott Hotel. The design is a choreography of linked spaces and street furniture that celebrates the large urban landscape and anticipates Yerba Buena Gardens. The street design responds to the site’s 15-foot drop in elevation, its changing light levels and its urban microclimate. 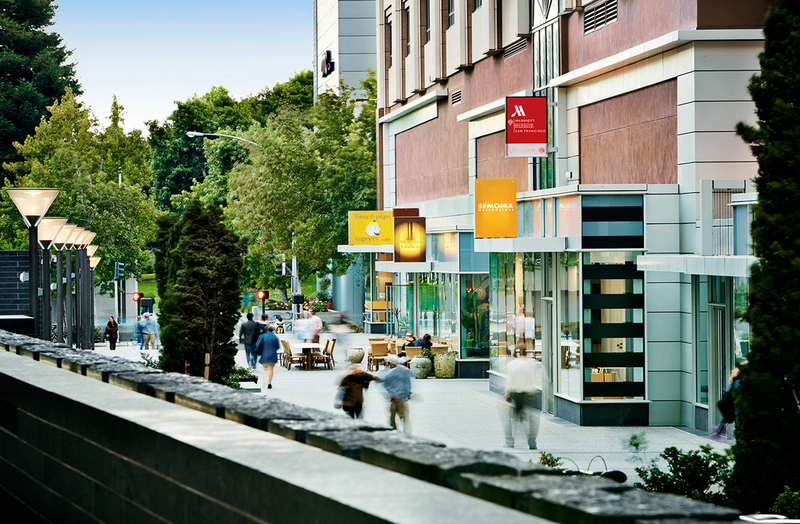 A stone water wall enlivens the pedestrian experience and trees are strategically placed to define space, screen buildings, attenuate wind and provide seasonal color. 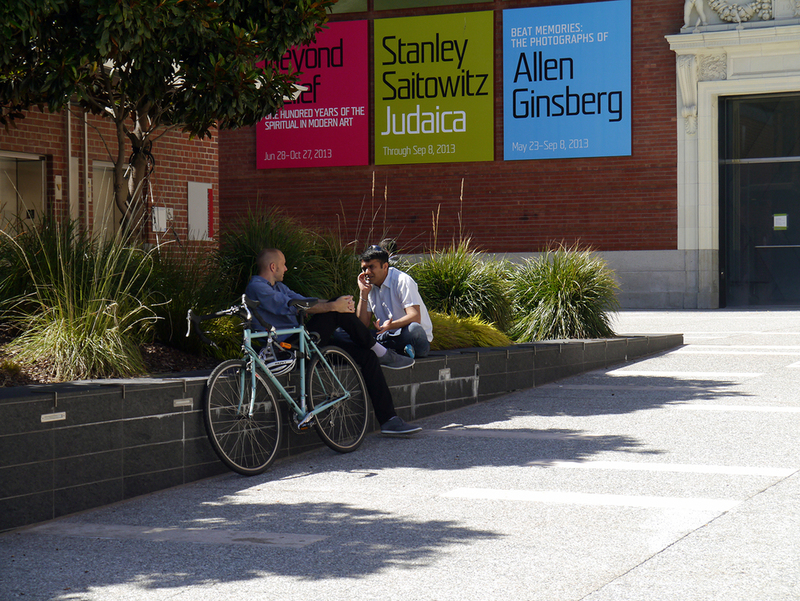 The Yerba Buena Connector is a vibrant urban open space linkage that reinforces place and creates a lively commercial and cultural paseo.